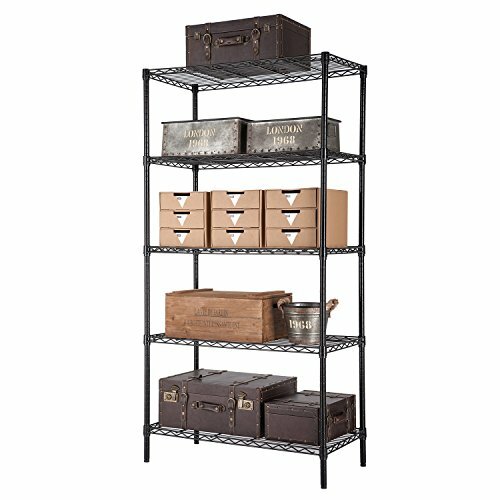 Amazon has the SINGAYE Storage Rack, Heavy Duty 5 Tier Wire Shelving Units with Adjustable Leveling Feet, Black priced at $68.99. Get $34.50 off coupon UKUMX5YE and score this for only $34.49 and it ships for free with your Prime membership or any $35 purchase. Consider adding an Add-On Item to get your total to $35 if you don’t have a Prime Membership. HIGH QUALITY: Enlarging the diameter et wire diameter, classic antirust paint,no problem that it works 10 years.